Voice Again uses high-quality algorithms to maintains vocal clarity at variety of speeds. 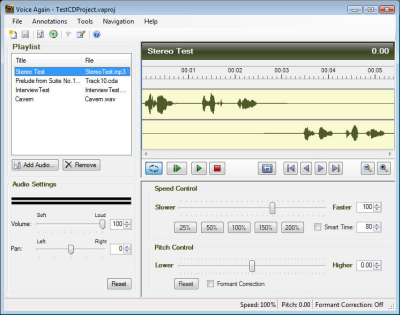 The annotation feature allows you to bookmark important parts of a recording. It will even supports a wide variety of USB foot pedals.